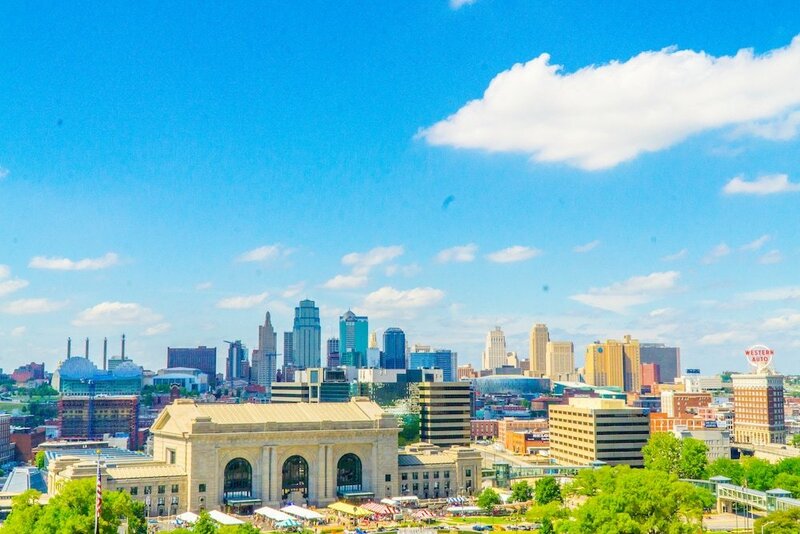 What To Do in Kansas City – From taking in art and history to checking out some of America’s hottest new cuisine and legendary BBQ – plus fun and funky shopping, Kansas City Missouri is bursting with ideas for a fantastic vacation on any budget! Kansas City is enjoying a second renaissance of sorts – there has never been more to do in Kansas City, from taking in world renowned pieces of art, to experiencing history, and of course tons of amazing food! I used to live in Kansas City in college (go Rockhurst! ), and often head back to visit family – Kansas City has always been one of my favorite cities to visit – but in the last few years, Kansas City Missouri has been majorly changing – in a great way! 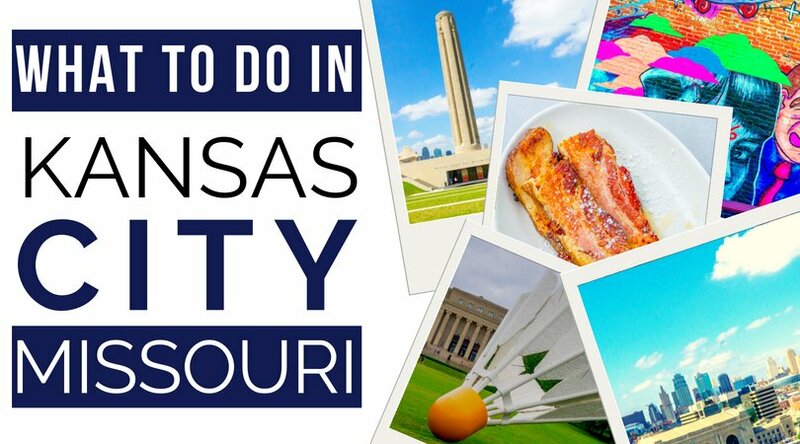 There is so much to do in Kansas City, it is a fantastic and affordable destination for a girls trip, a romantic trip for two, or a fun family destination! 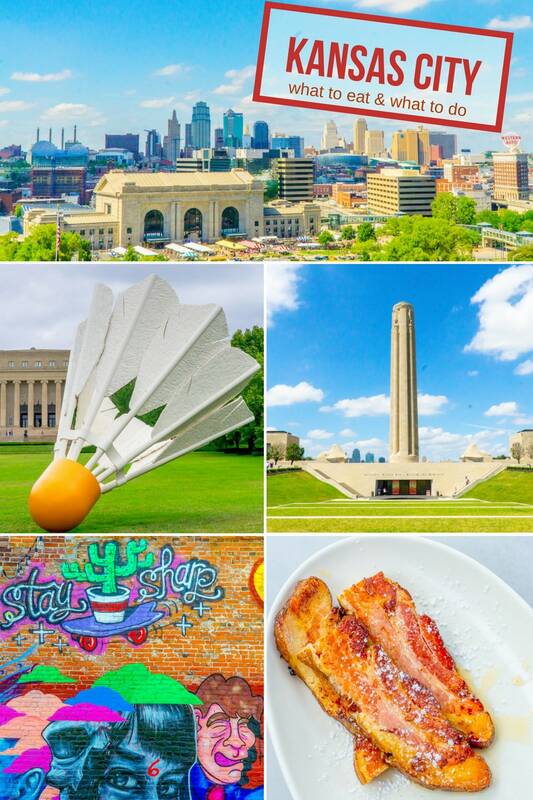 With so much to do in Kansas City it’s hard to narrow down to just a few things to do – so I’m going to focus on some of my absolute favorites for a great time in Kansas City! I will be covering all of these restaurants and locations more in-depth in some posts coming up soon, but for now here are my must-visits in the city. The new streetcar in Kansas City runs from Union Station through the Crossroads Art District and the downtown Power and Light District to reach City Market – making it an easy way to explore all of Kansas City’s hottest neighborhoods without having to hassle with parking. The streetcar is a new part of Kansas City connecting major neighborhoods downtown, and there are plans to expand in the future. It’s been a huge benefit to the town, and makes touring all the can’t miss spots in town so much easier! 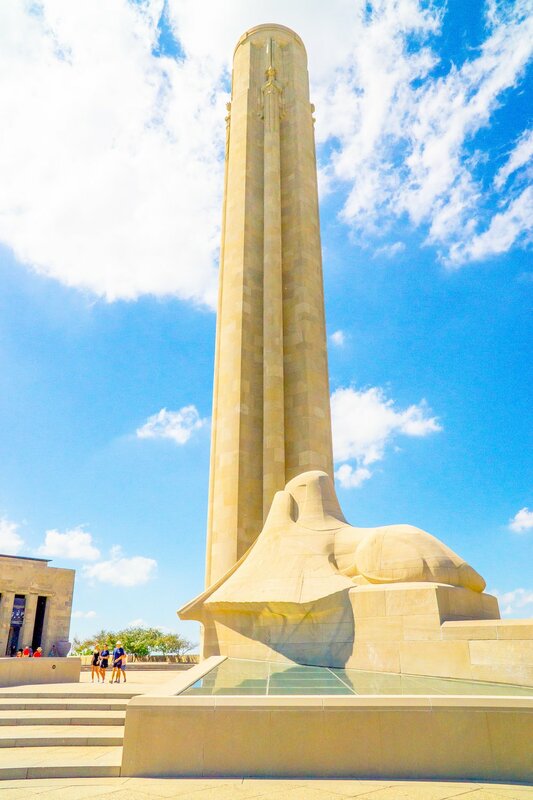 If you’re a history buff, there is no place like the WWI Memorial and Monument in Kansas City to take in a vital part of our nation’s history both before and after the war to end all wars. Be sure to stop into the Posters as Propaganda Exhibit (entrance is outside in the courtyard just across from the tower) for a look at how wartime posters helped inform Americans about the war and the war effort, raise money for the troops, and spread information about the war – from all sides. 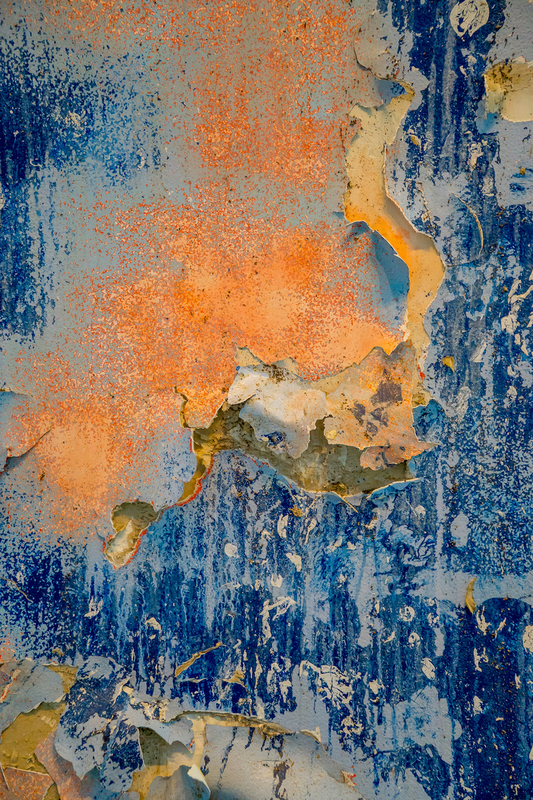 The frescoes in the exhibit are stunning, and worth the trip for themselves! 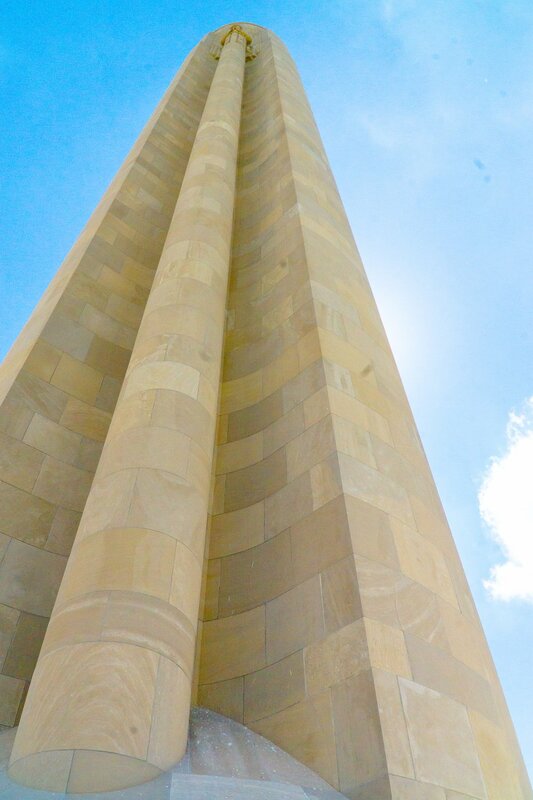 For the best 360 view of Kansas City, be sure to buy a ticket to ride the elevator to the top of the monument’s tower. While there is an elevator up the tower, there are stairs at the very top, so the tower is not accessible to those who are mobility impaired. The top of the tower is steady, with a narrow walkway and a tall stone ledge – while I am often quite afraid of heights, I felt just fine at the very top of the tower. 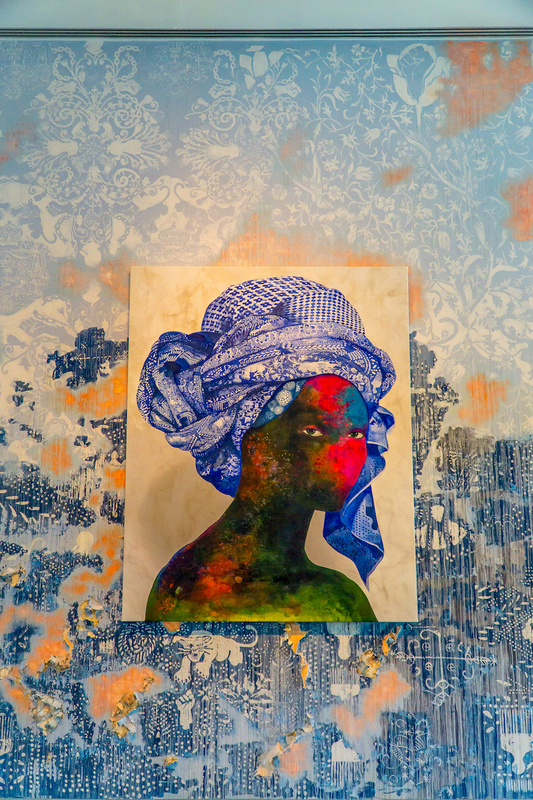 Kansas City might not be the city that comes to mind first when thinking of major destinations for art lovers – but it should be! 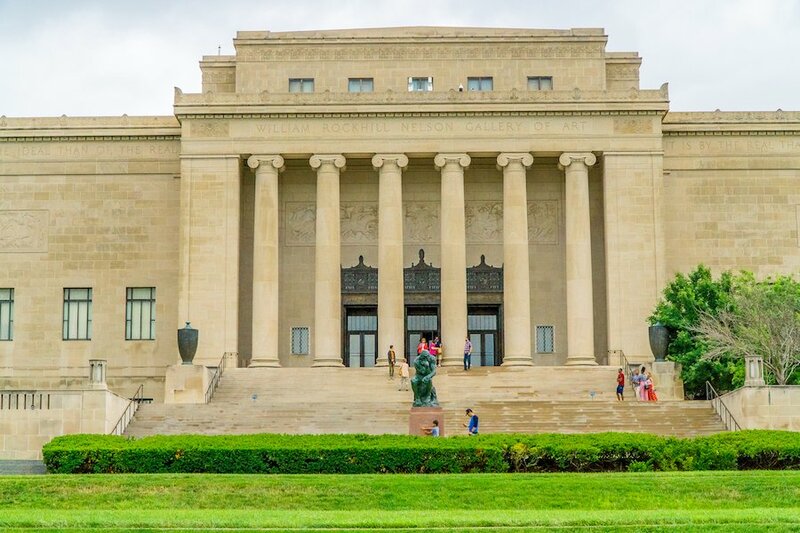 With world class art museums and countless well known pieces in their permanent collections, Kansas City’s art museums are a destination unto themselves! 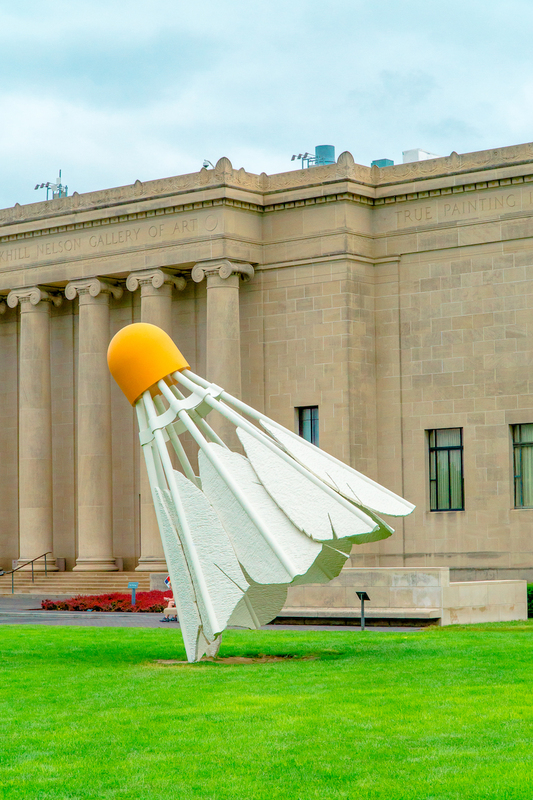 The Nelson Atkins museum houses fine art from around the world – including important American and European pieces, with a large amount of my favorite Monet and Pissaro works. I used to spend hours and hours in the European art rooms in college – and they are just as peaceful and moving as I remember. 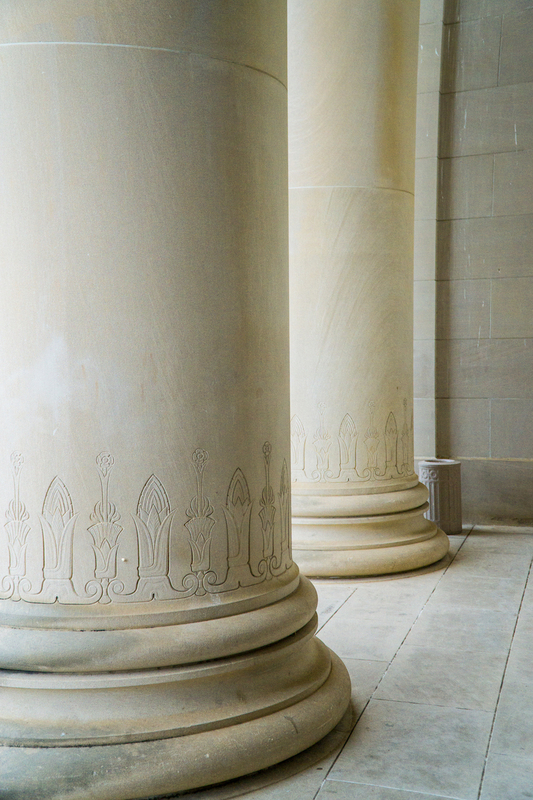 After browsing the galleries inside, there is still plenty more to explore at the Nelson – from the large reflecting pools, to the sculpture walk and gardens, and of course the numerous shuttlecock sculptures that adorn the lawn in front of the museum. The Kemper has gorgeous full-time exhibits, as well as world-class visiting exhibitions from emerging contemporary artists. 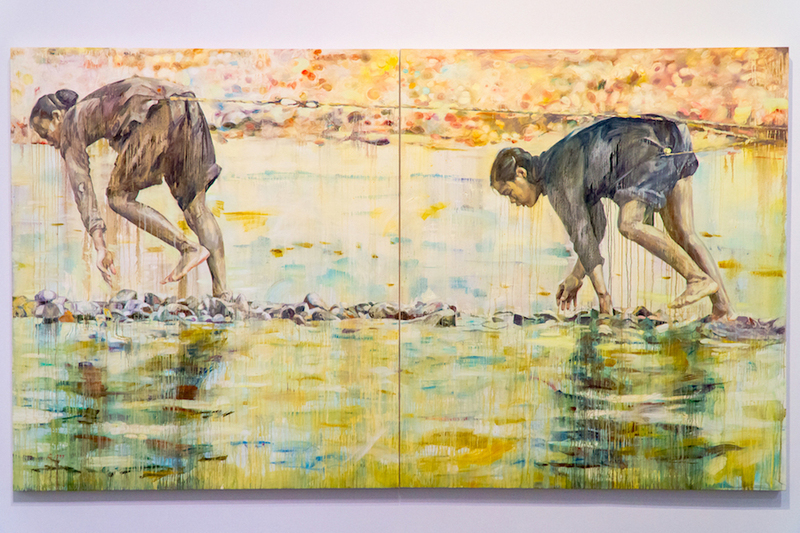 Once a year, a new piece is installed in the entryway – this piece from Firelei Baez was incredible – the wall was actually part of the piece! I was so sad to know it was being taken down soon to be replaced with next year’s work – Firelei actually used organic materials to make a texture all over the walls (if you look closely, there are coffee ground’s from the museum’s Cafe Sebastienne incorporated into the wall’s texture! 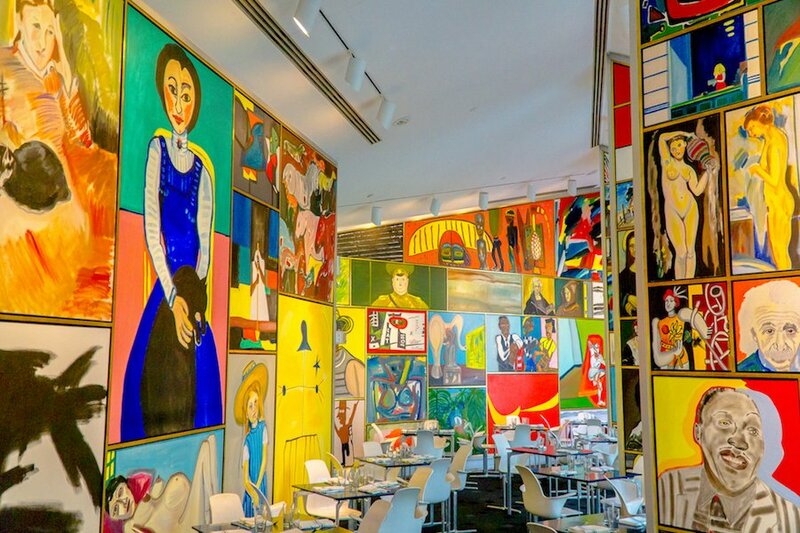 Cafe Sebastienne doesn’t only have gorgeous and delicious food, the space is gorgeously decorated with contemporary renditions of well known classic paintings like the Mona Lisa and Starry Night. 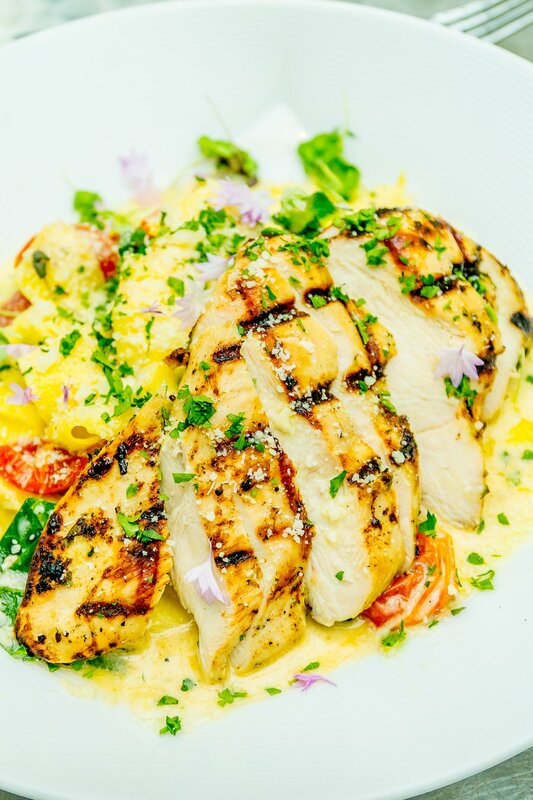 Cafe Sebastienne has a fresh and inventive menu that is perfect for lunch or dinner – and often hosts weddings, parties, and other gorgeous events. While Kansas City has over 250 sprawling and unique neighborhoods, I’d suggest sticking to the Plaza, Power and Light, Crossroads Arts District, City/River Market, Crown Plaza, and Westport areas to make the easiest trip. There are tons of hotels in the plaza perfect to spend the night in, fun bars and great BBQ in Westport – both are a short drive to Union Station, where you can park your car and take the cable car to head to other Kansas City hotspots. 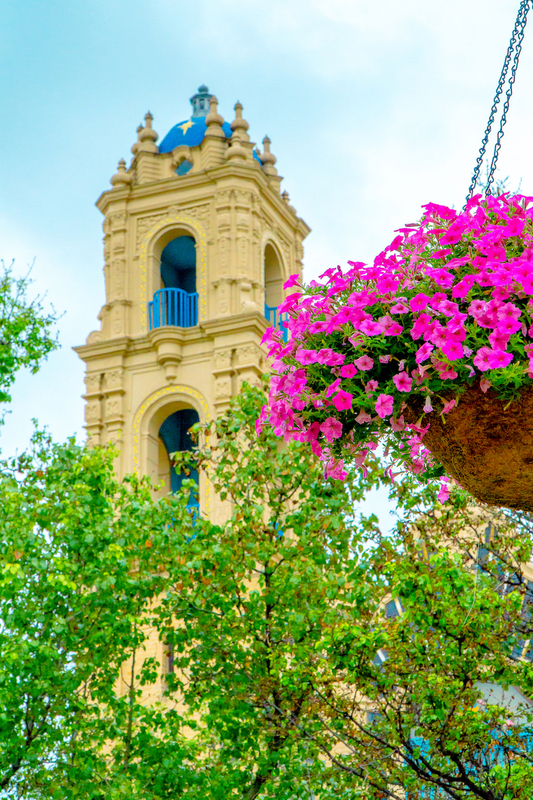 Kansas City’s Country Cub Plaza – home to some of the most stunning fountains, architectural details, chic stores, impeccable mansions, and a glittering riverwalk – is one of Kansas City’s main tourist destinations. 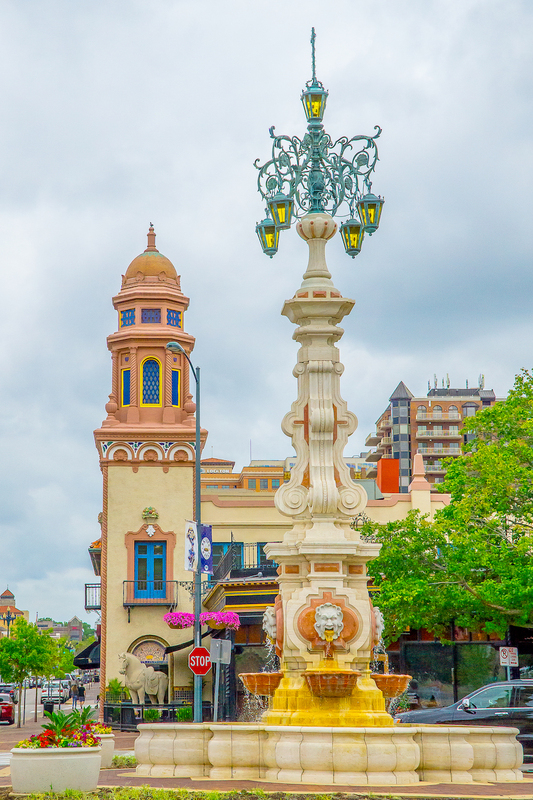 Shopping is king at the Country Club Plaza – the entire area was designed as an outdoor shopping mall by J.C. Nichols and meant to mimic the architecture of Seville, Spain. There are tons of luxury stores and unique shops to pop into on the plaza – from Gucci, Saks Fifth Avenue, Tiffany and Co, Anthropologie, and Michael Kors – to Apple, numerous bookstores, and athletic apparel shops. Kansas City’s Country Club Plaza is full of tons of restaurants – both creative unique spots, and well-known and loved chain spots everyone knows. 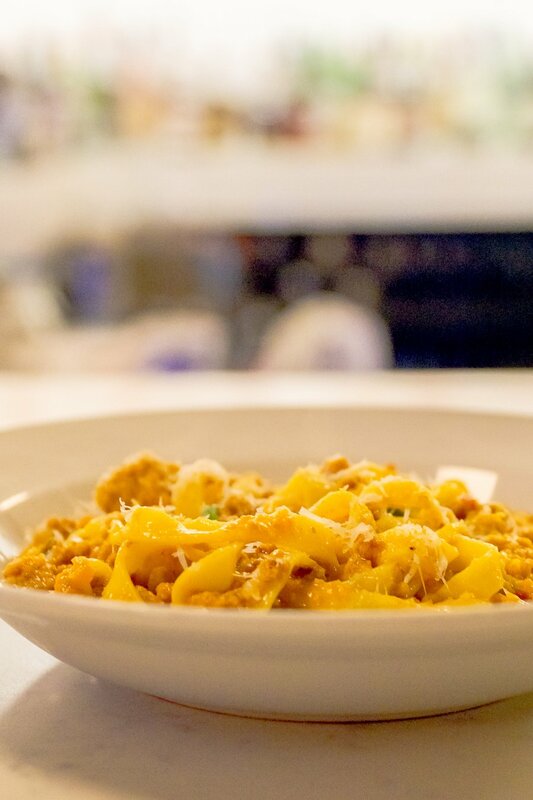 There is no shortage of spots for a quick bite, delicious coffee, or fancy night out – the Plaza is bursting with delicious options. I’m sharing just a few of my favorites. While technically in Plaza South, Stock Hill is just over the river from the plaza and is the perfect romantic Kansas City Steakhouse – perfect for a memorable night out. 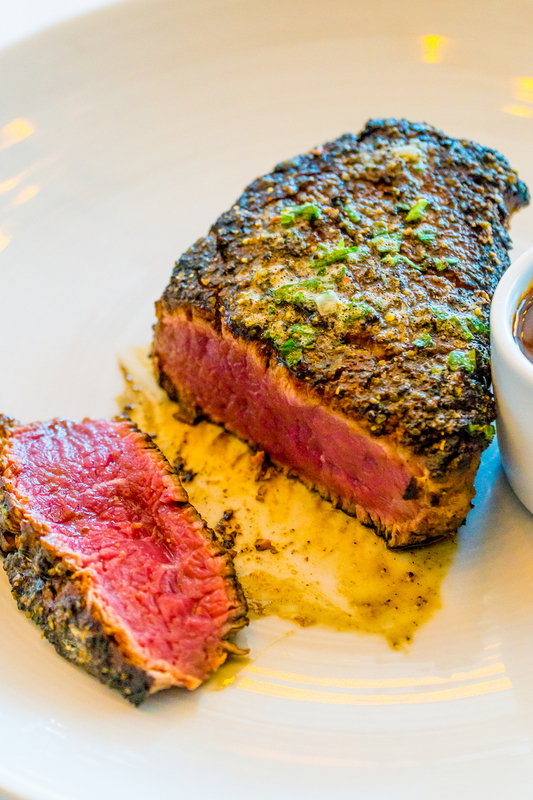 I consider myself pretty much a steak snob – as living in Denver we’re fabulously spoiled with amazing steaks- but Stock Hill’s filet (cooked perfectly to my favorite Pittsburgh rare – charred on the outside and red in the middle) was beyond heavenly. The rock shrimp appetizer was phenominal – I could eat it everyday- and the banana split dessert (shaped as a popsicle with brownie bites adorning the plate) was so fun and whimsical. Gram and Dun, home to one of Kansas City’s best patios, is not only great for breakfast and dinner – but also a hotspot for brunch. 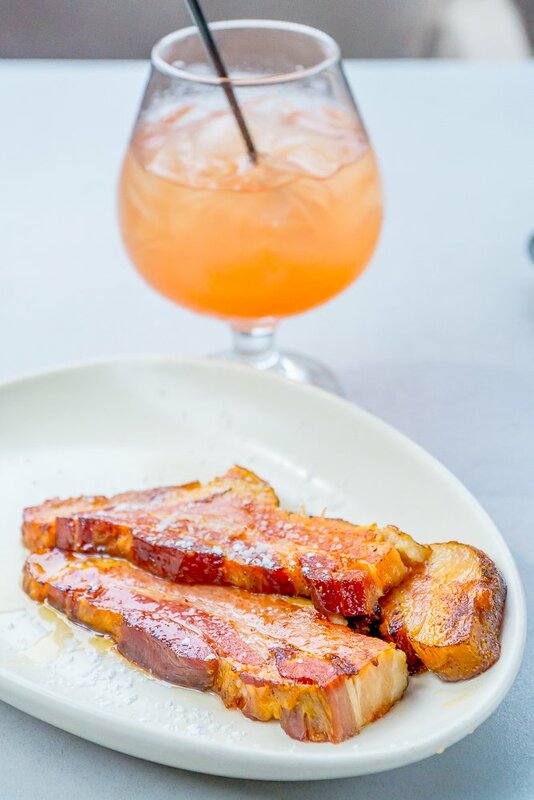 The thick pork belly bacon, drizzled with syrup and powdered sugar, as well as the Kanpari poke – were my favorites for brunch. 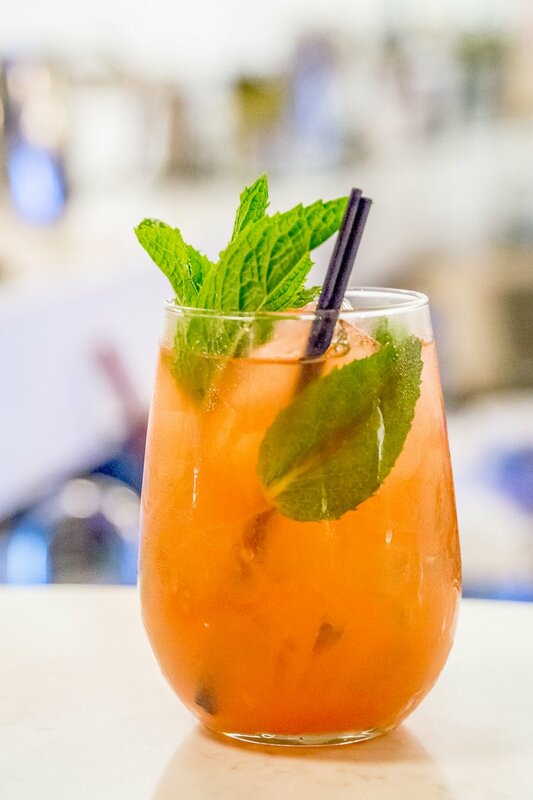 The brunch punch is also to die for – and a bit dangerous, since you could drink gallons full before realizing how potent they are! 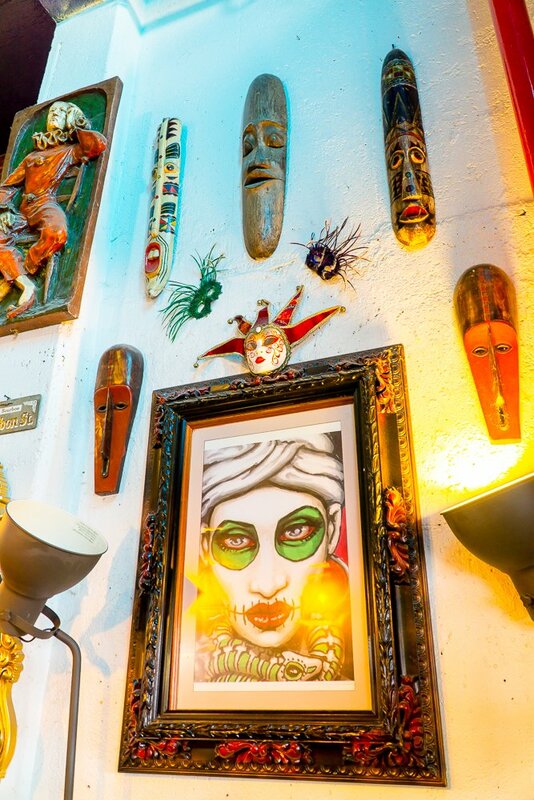 There are tons of fun shops at River Market – from trinkets and kitchen goods, to gourmet food items, to farmer’s stalls bursting with fresh produce – to tee shirt shops and discount clothing. There is so much to see and do at River Market, it’s a great way to spend a day strolling through the stores and shops and trying all of the delicious food! 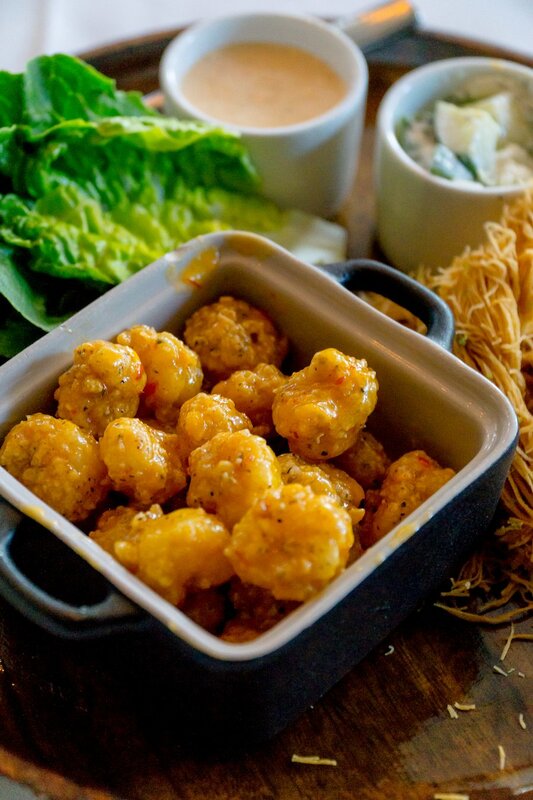 Beignet is a New Orleans Style mostly take-out restaurant inside River Market serving up sweet and savory beignets as well as other creole classics. 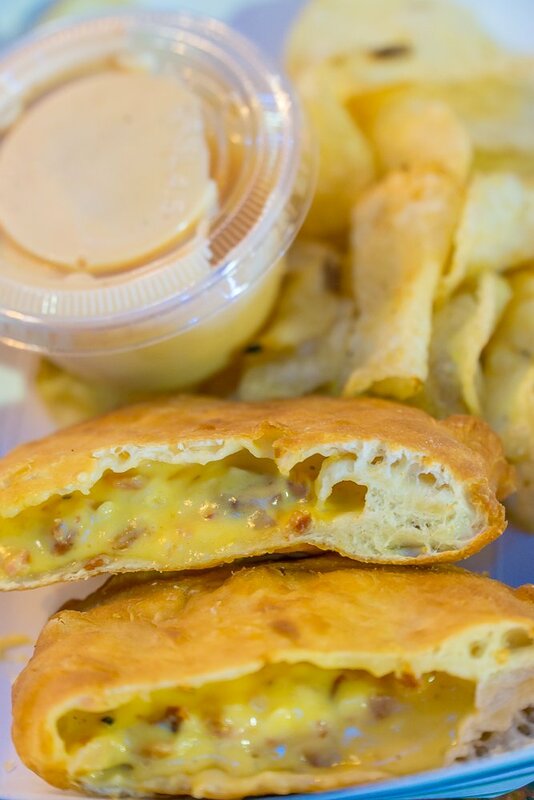 The Pig Beignet was amazing – I am still dreaming of the ooey, gooey cheese and bacon bits inside a heavenly soft beignet! If you’re planning on heading to River Market, you can park around the City Market and River Market neighborhoods, or take the cable car to City Market at the end of the line and walk a couple blocks to the River Market. There are also numerous Kansas City Bikes for rent nearby. There is ample street parking, a couple public lots, and a free lot (as long as you’re not there over the specified time) at the actual market building. 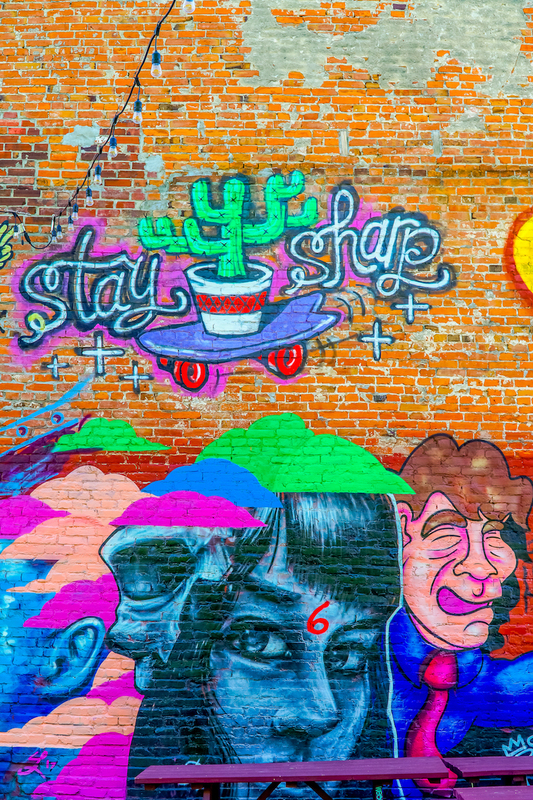 The Crossroads Arts District is one of Kansas City’s hopping new neighborhoods – full of art galleries, vibrant street art, creative cafes, and lively bars – it’s the one trendy neighborhood you should make plenty of time to explore! Kansas City’s Crossroads Arts District is the perfect place to park and explore – the fun and funky neighborhood is perfect to find something new and interesting – from art galleries, to fine dining, to dive bars, and live music – there is a ton of really unique things to explore in the Crossroads Arts Districts. 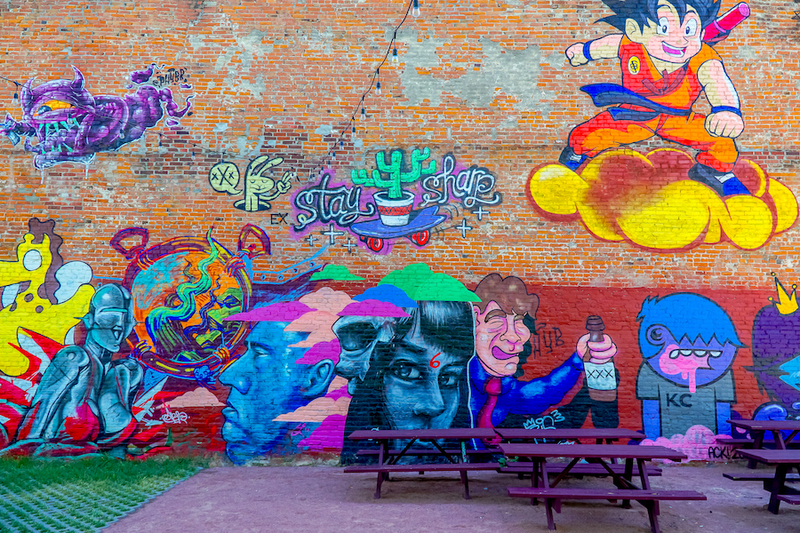 Art Alley is a sprawling back alley that the neighborhood has come together to embrace and re-vitalize through encouraging graffiti as art. 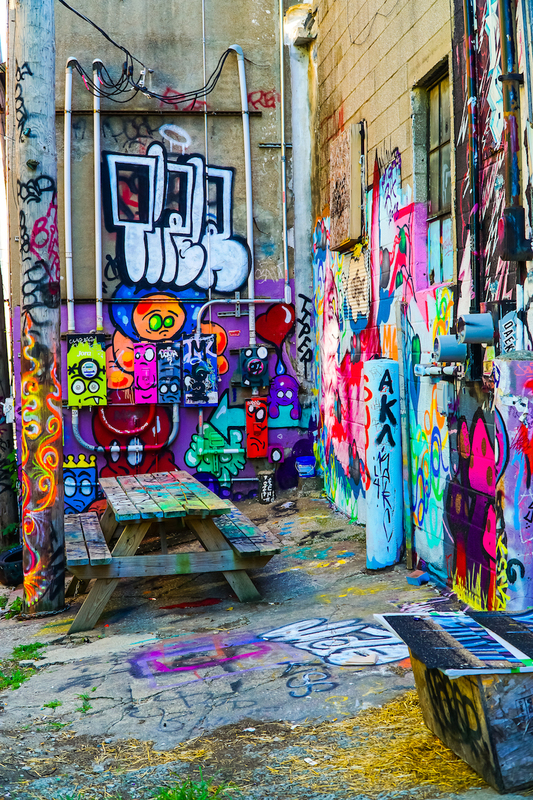 There are plenty of options to spend an entire afternoon in Art Alley – with a large courtyard with picnic tables, and often empty cans sitting around, the space is always changing with new creations coming up all the time – so no visit to Art Alley will ever be the same. 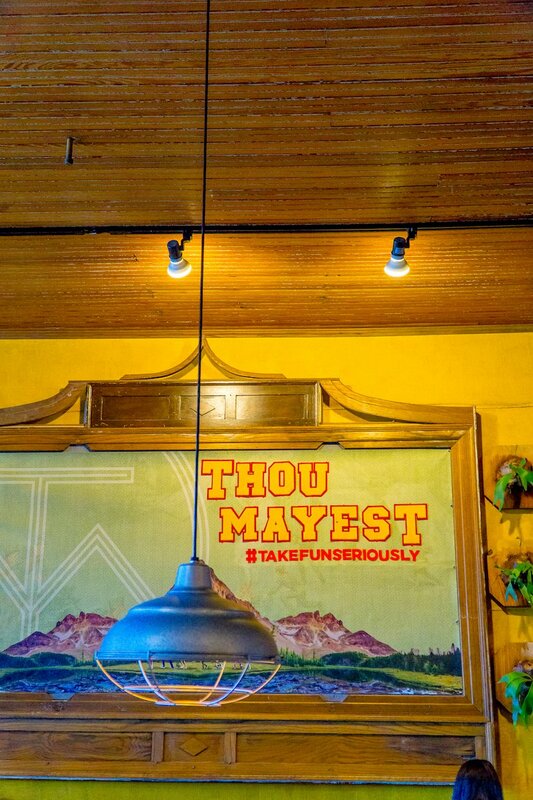 Thou Mayest is fun and funky – with a urban meets midwest kitschy vibe and an impossibly cool style (the industrial space is lovingly adorned with vintage maps, fishing poles, and other knick knacks to give it a cozy vibe that is perfect to spend the afternoon working in. 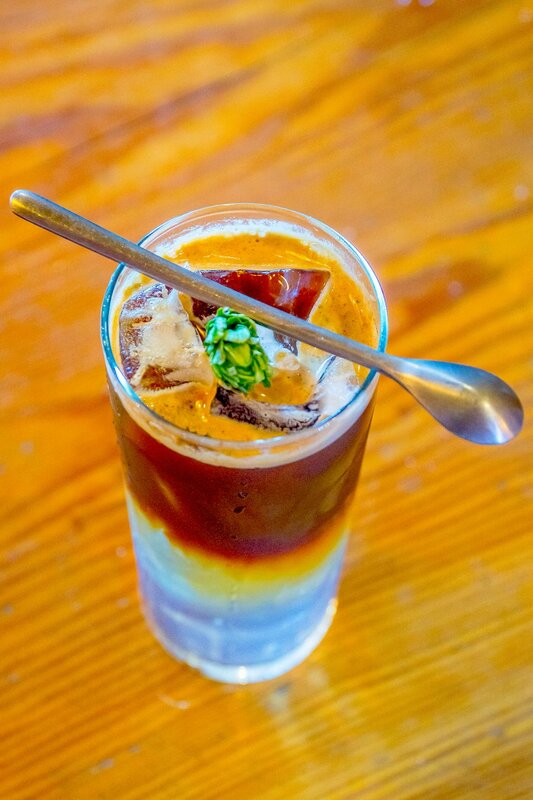 Thou Mayest’s coffee is amazing – with single origin beans, pour overs, and specialty drinks (the hopped cold coffee with tonic was heaven in a glass and beyond gorgeous to look at) – it’s easy to see why this spot is a favorite for so many! Thou Mayest also has a cereal and milk bar if you’re craving something delicious with your coffee! Novel is one of Kansas City’s hottest restaurants – with fresh and innovative dishes and a top-notch cocktail and wine program. 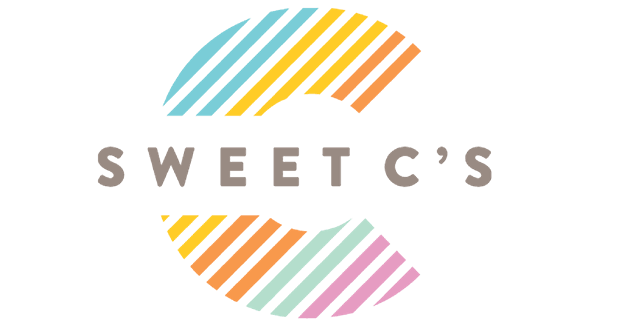 From house-made tagliatelle with sweetbreads, to toast made out of smoked pork and topped with a creamy avocado flower – and desserts to die for, Novel should be at the top of your must-visit list when looking for contemporary spots to eat in Kansas City. Novel is fabulous for a night out with friends or date night – but I had a blast sitting at the bar myself, too. 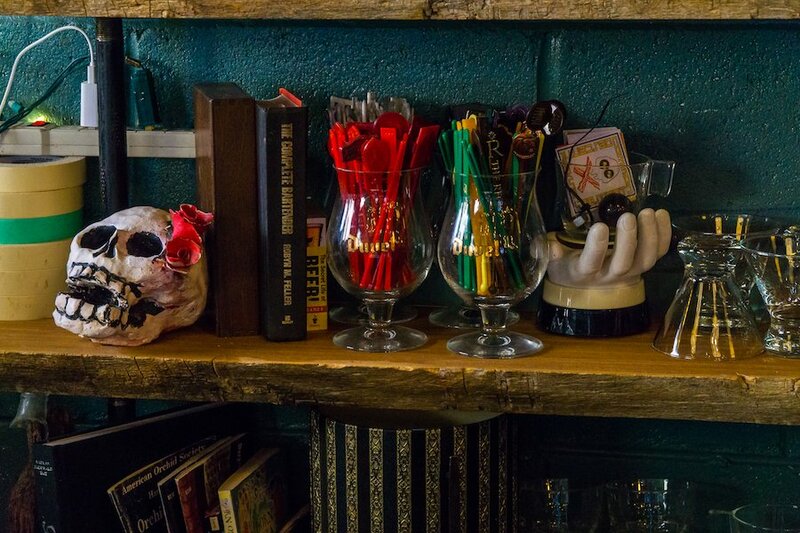 The bartenders were so fun to talk to, and the crowd was great for a weekend night – if you’re traveling solo to the city or want to treat yourself to a night out, Novel was great even as a solo diner – which is a major win in my book. The menu was especially fun to mix and match my way through – with lots of small plate options, funky cocktails I haven’t seen anywhere else, and some amazing mocktails for a unique but wide appeal to any diner. 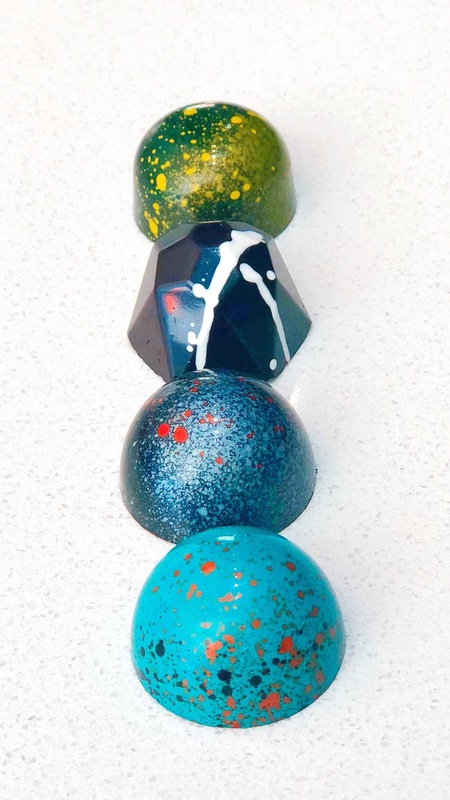 For delicious, one-of-a-kind bonbon creations, be sure to stop into Christopher Elbow chocolates for a sweet treat – or a gorgeous gift. Brewery Emperial isn’t just a brewery – it’s a sprawling biergarten serving up delicious beer, craft cocktails, and crave worthy pub-food classics. 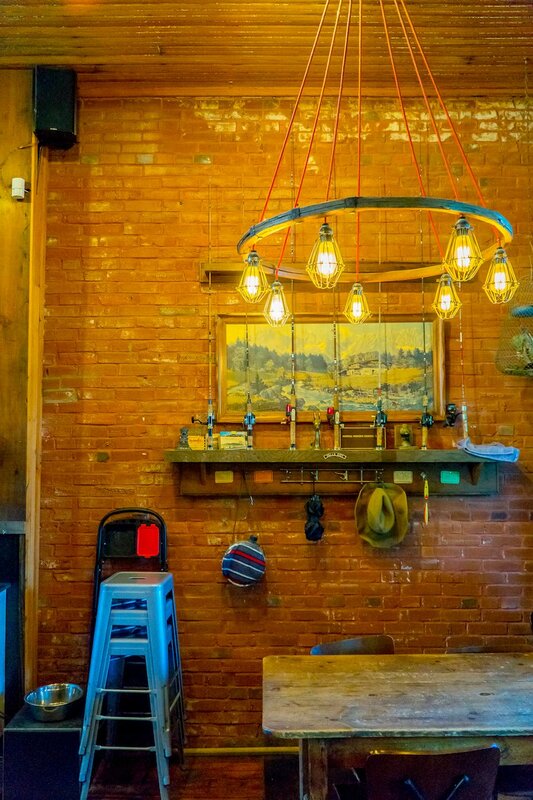 Brewery Emperial is fun and decked out in hipster kitsch – perfect for spending a weekend afternoon, fun night out, or quick drinks and food for lunch. One of my favorite things to do in any city is explore record shops – and Kansas City’s rich jazz history and serious love affair with music makes it a great city to find some vinyl you can’t find anywhere else. 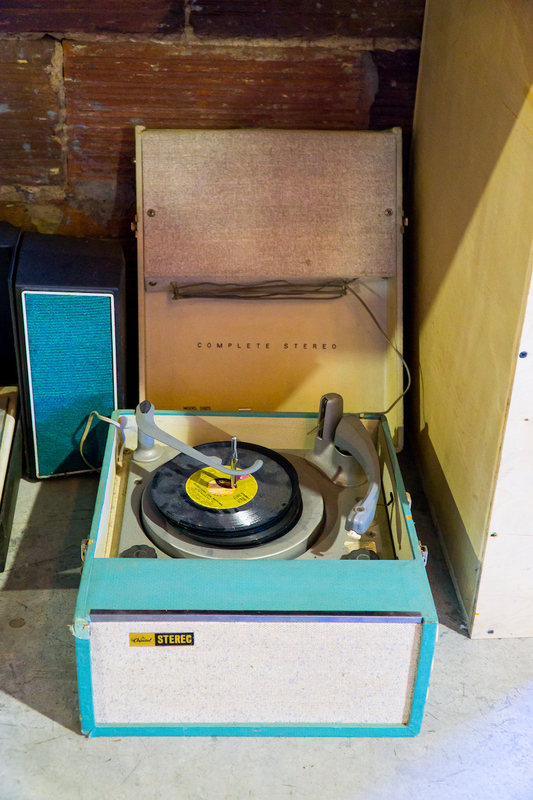 The Crossroads Arts District has numerous record stores with a huge selection of new and used LP’s, perfect for the serious music lover. There is ample street parking in the Crossroads Arts District, as well as many public parking lots. On weekends, weeknights, and during events parking is a bit tighter – but you can find plenty of options if taking your car. You can also take the cable car from Union Station to reach the Crossroads Arts District. Love Kansas City As Much As I Do? Keep Following Here For More!